How Did Kenya Get Its Name? African History: How Did Kenya Get Its Name? There are certain words that carry with them strong mental images — words that are capable of painting a picture with just a few syllables. The name Kenya is one such word, instantly transporting those that hear it to the mighty plains of the Maasai Mara, where the lion rules and tribespeople still live off the land. In this article, we take a look at the origins of this East African nation's evocative name. Kenya has not always been known by this name; in fact, it is relatively new. It is difficult to establish what the country was called before the arrival of European colonialists in the late 19th and early 20th centuries, because Kenya as we know it today did not exist. Instead of a formalized nation, the country was simply part of the larger region known as East Africa. Indigenous tribes and early Arabic, Portuguese, and Omani settlers would have had their own names for specific areas within East Africa, and for the city states that they established along the coast. In Roman times, it is thought that the area stretching from Kenya to Tanzania was known by a single name, Azania. Kenya's borders were only formalized in 1895 when the British established the East Africa Protectorate. Over the next few decades, the British protectorate expanded until it was eventually declared a crown colony in 1920. At this time, the country was rechristened the Kenya Colony in honor of Mount Kenya, the second tallest mountain in Africa and one of the nation's most recognizable landmarks. In order to understand where the country's name came from, it is, therefore, necessary to understand how the mountain came to be christened. 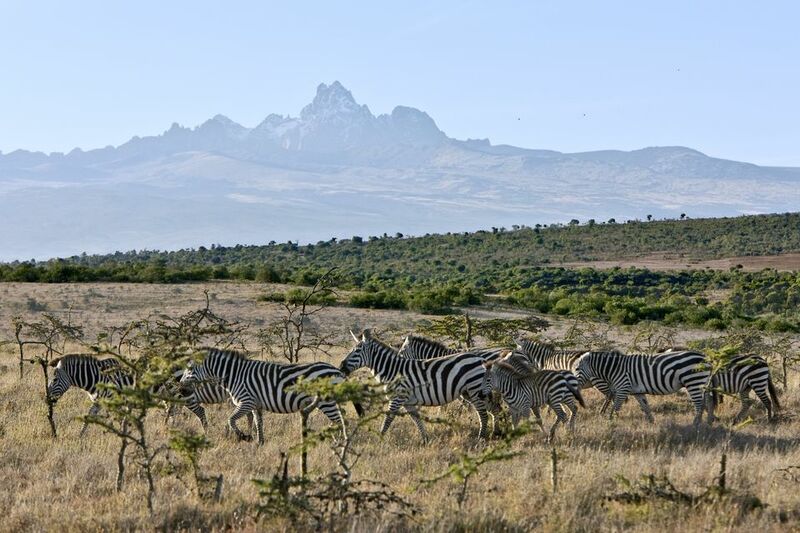 There are many conflicting opinions as to how Mount Kenya's English name came into being. Some believe that the mountain's name originated with the first missionaries, Johann Ludwig Krapf and Johannes Rebmann, who ventured into the country's interior in 1846. Upon seeing the mountain, the missionaries asked their Akamba guides for its name, to which they responded kiima kya kenia. In Akamba, the word kenia translates as glitter or shine. The mountain was called "the mountain that shines" by the Akamba due to the fact that it is perennially capped with snow despite the tropical climate of the Kenyan lowlands. Today, the mountain still boasts 11 glaciers, although these are rapidly retreating due to global warming. The Ameru word kirimira also translates as the mountain with white features, and many believe that the current name Kenya is a mispronunciation of one of these indigenous words. Others are adamant that the name Kenya is a bastardization of Kĩrĩ Nyaga, or Kirinyaga, the name given to the mountain by the local Kikuyu people. In Kikuyu, the word Kirinyaga roughly translates as God's Resting Place, a name inspired by the belief that the mountain is the Kikuyu god's earthly throne. Less spiritually, the word can also be translated as the place with the ostriches — a reference to the mountain's more literal inhabitants. Those that favor this theory claim that the name was inspired by the fact that from afar, the black rock of the mountain with its covering of white snow resembles the monochromatic plumage of the male ostrich. In December 1963, Kenya won independence from British rule after a bitter period of revolution and rebellion. The new nation was formalized and rechristened as the Republic of Kenya in 1964, under the governance of the country's first president and former freedom fighter Jomo Kenyatta. The similarity between the country's new name and the surname of the president is no coincidence. Kenyatta, who was born Kamau Wa Ngengi, changed his name in 1922. His first name, Jomo, translates from the Kikuyu for burning spear, while his last name is a reference to the traditional beaded belt of the Maasai people nicknamed the light of Kenya. In the same year, Kenyatta joined the East African Association, a campaign that demanded the return of Kikuyu lands colonized by white settlers during British rule. Kenyatta's name change, therefore, coincided with the launch of his political career, which would one day see him become synonymous with Kenyan freedom.